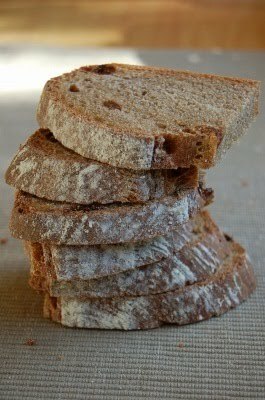 I love rye bread rather than any other sweet bread. 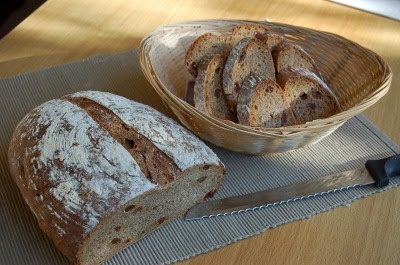 Rye taste sour and dark heavy, chewy. This is my special bread. 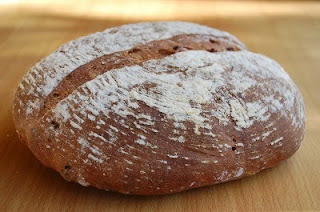 I put raisin, cinnamon and molasses to make it dark and nice aroma. 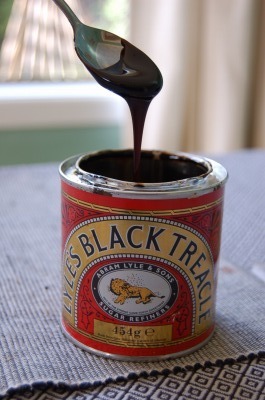 Cinnamon aroma makes me hungry, molasses and raisins make it natural sweet. Use a basket to make a nice shape. 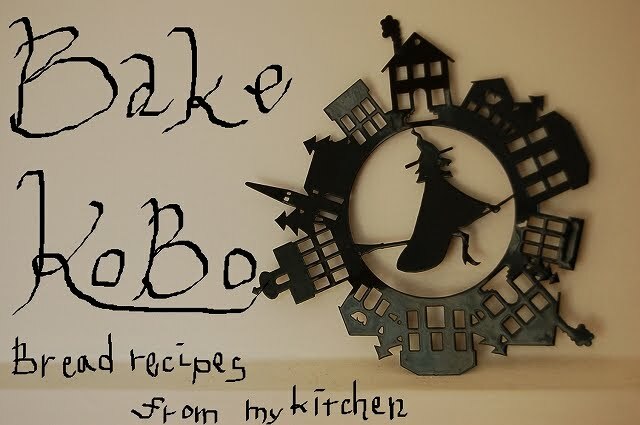 Mix all ingredients into a container, place it in room temperature for 12hour. Then put it into the fridge 3 days. 1. Mix flours and yeast,rye polish, molasses, salt, water into a bowl with your finger till it becomes hard to mix. 2.Place the dough into the floured counter, then knead it for 8 minutes. And add butter, knead it another 4 minutes till it becomes smooth and elastic. 3. 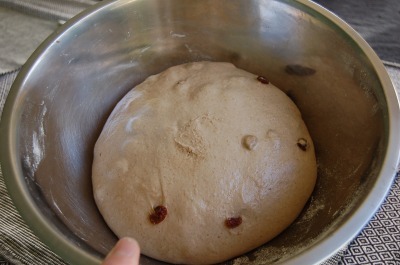 Spread the dough, put raisins on it, knead the dough briefly till raisins are just evenly incorporated into the dough. 5. Pour the dough onto floured counter, then deflate it, knead briefly. Shape it a big rough ball. 6. Set the dough with cover for 20 minutes. 7.Shape into final loaf, make it oval ball. Sprinkle enough flour onto a basket. 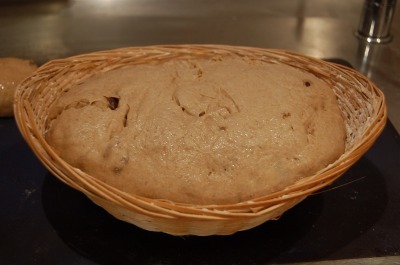 Put the dough into the floured basket. Put it nice side to bottom, ugly side to up . 8. Place it into warm place with spray water, rise it for 1 hour. Preheat the oven at 230℃. 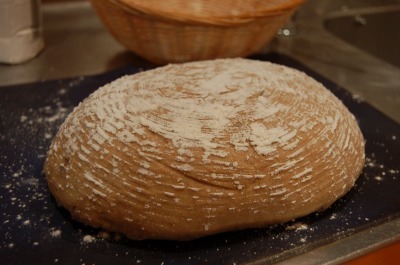 See the photo, you can see basket trace on the dough. 10. Score slant lines on the dough with sharp knife. Spray water. 11. Put the dough into the oven with steam for 10 minutes at 230℃. Then bake it at 200℃ for 20 minutes without steam.